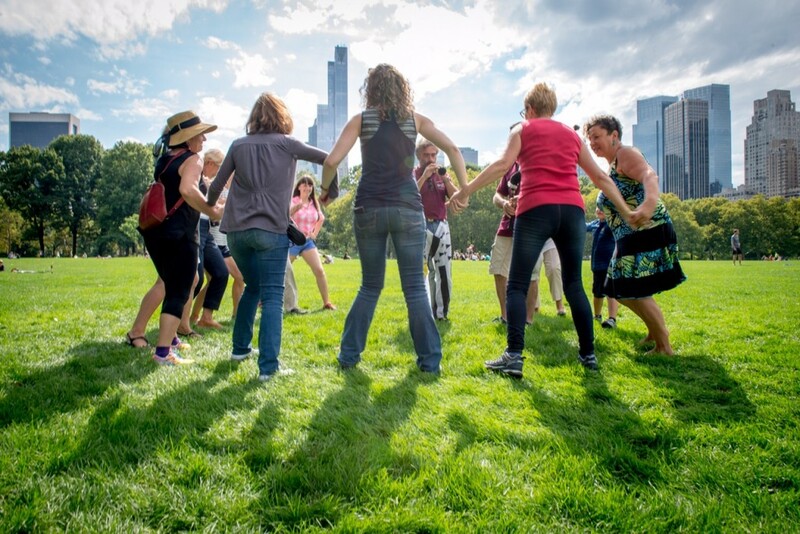 The 2015 “Garden Pâté” in Central Park was a huge hit this year! 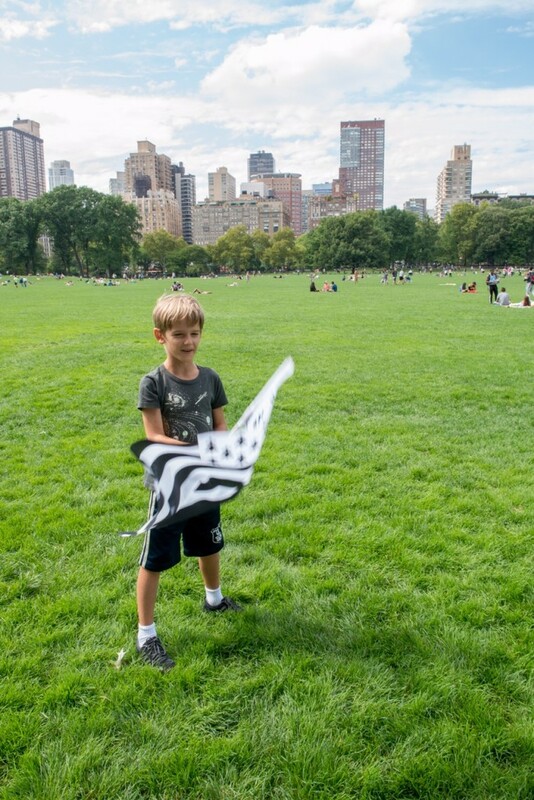 Picture yourself in the middle of a park — but not just any park — New York’s legendary Central Park! 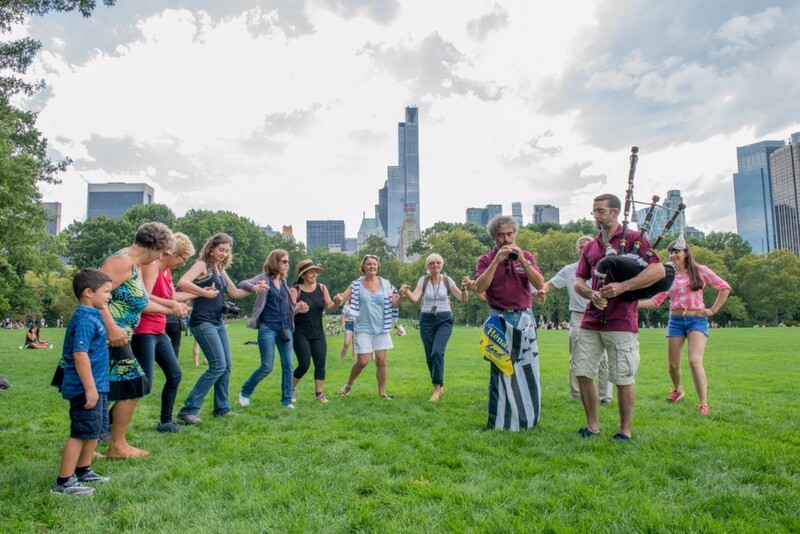 After having spent the day lost in the hustle and bustle of the city, admiring its towering skyscrapers, you wander into the park and are welcomed by the sound of bagpipes playing in the distance. Drawing nearer, you notice that the musicians are none other than two sailors fresh off of the French Navy Vessel Le Monge, who have come to contribute to the festivities while their ship is docked in Staten Island for the week. 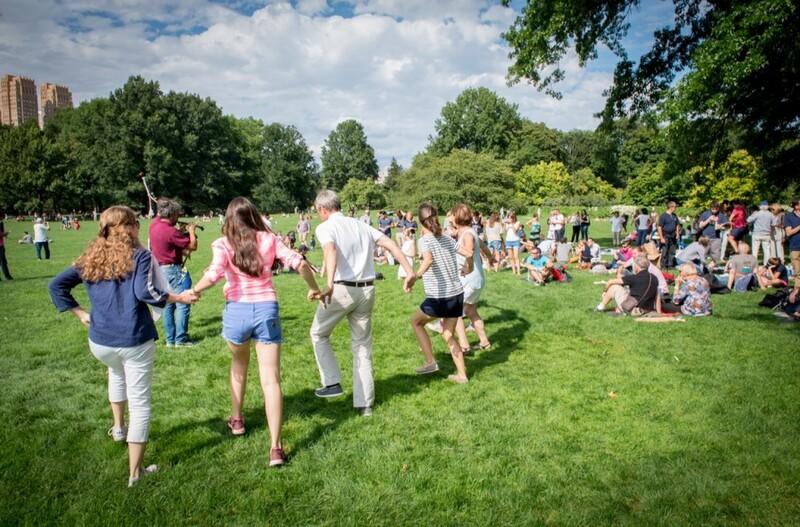 In the heart of this famous park, two hundred people dance and eat with enthusiasm and cheer on the freshly cut lawns. 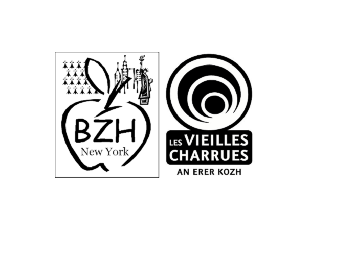 BZH New York has done it again! 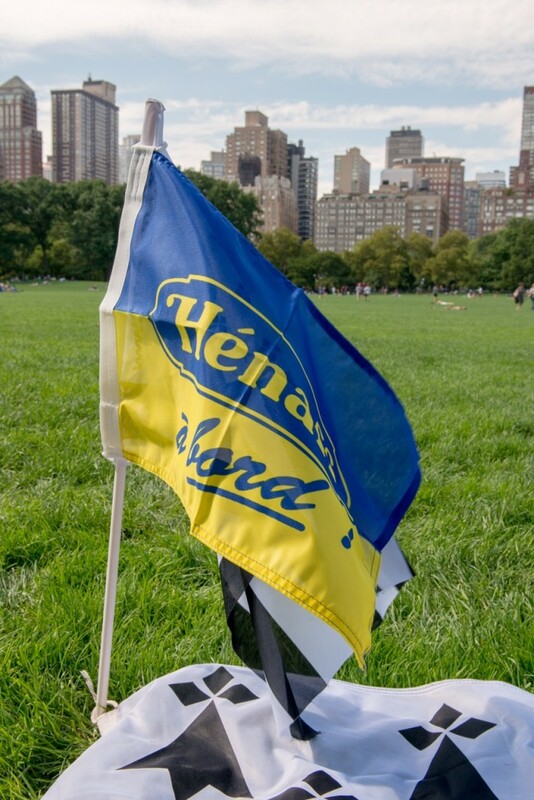 With the help of their sponsor, Pâté Hénaff, the 2015 “Garden Pâté” is in full swing! 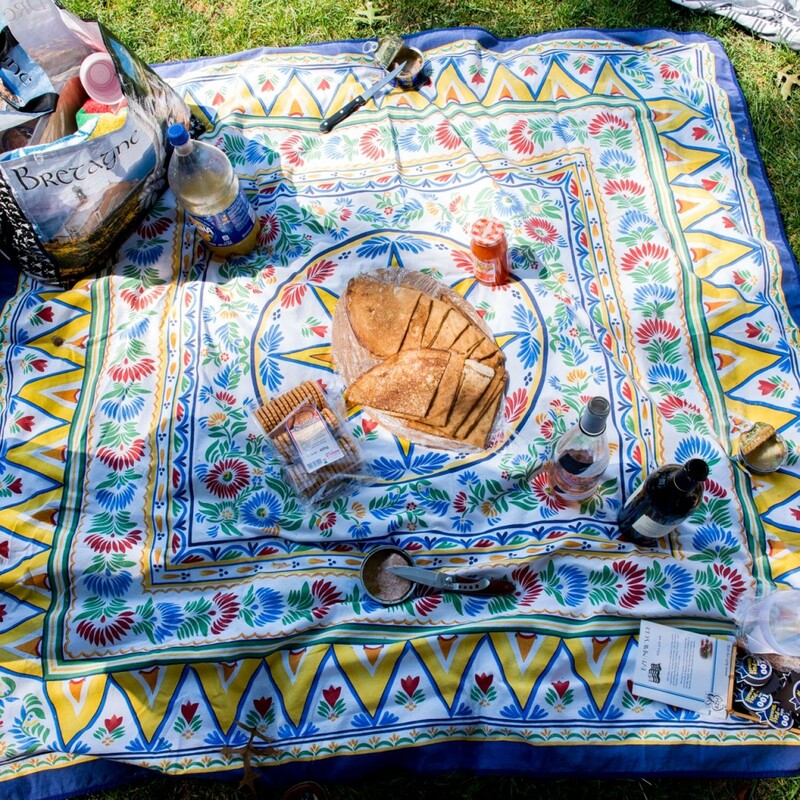 Later on in the afternoon, some strike up a gavotte, forming a circle and dancing to the sound of the bagpipes, while others start up a game of cards on their picnic blankets. As for the rest, they help themselves to more freshly baked bread from Cannelle Patisserie (provided by our friend and sponsor, Jean Claude in Queens) and a generous helping of the incomparable Henaff Pate. 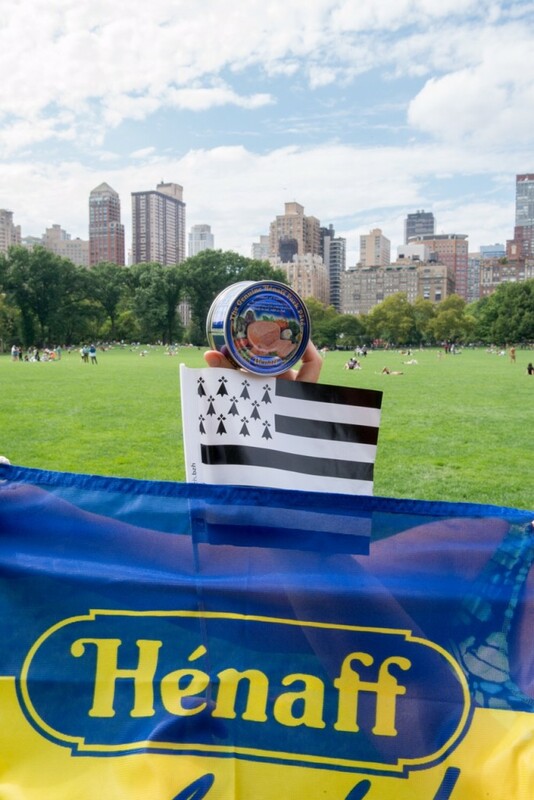 Everyone — old and young, tourists and New Yorkers alike — are there to celebrate Brittany and international camaraderie. Among them, team “BZH New York” mingles with the crowd to meet and greet newcomers, as well as spread the word about upcoming events that the organization is planning. Among these projects is the ambitious and highly anticipated plan to bring “Les Vieilles Charrues” music festival to New York in 2016. 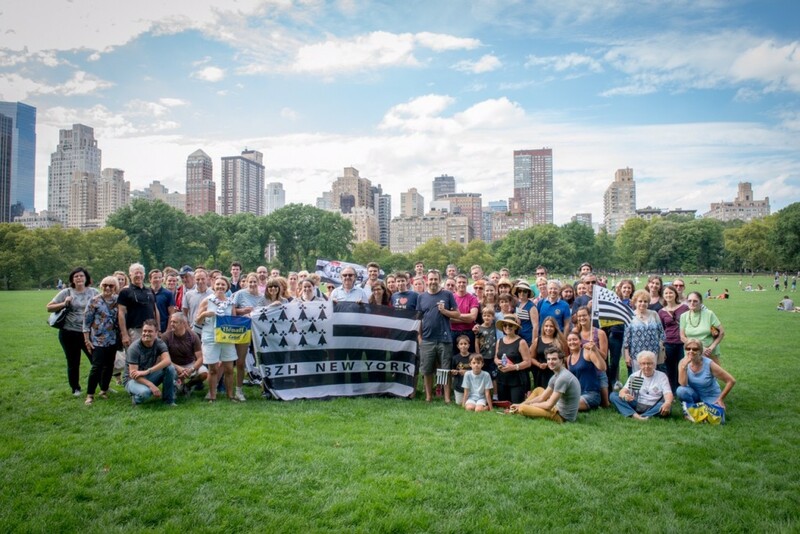 As part of the growing momentum around this project, BZH New York is hosting a series of happy hours for potential volunteers, participants, and business partners to meet and learn about the project. 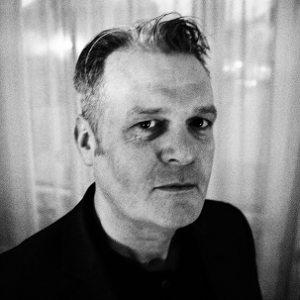 The third such “Apero Charrues” in this series will take place on September 28th, featuring special guests Mr Jean Luc Martin and Mr Jerome Trehorel, president and director of the festival, respectively. 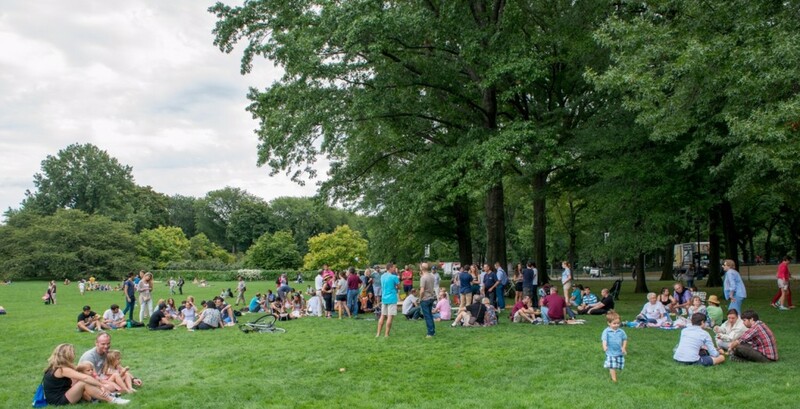 All in all, the weather held up, with sunshine until 4:00pm, followed by a torrential downpour … almost as if to remind the picnickers that it was time to pack up their baskets and hurry home watch the final of the US OPEN! 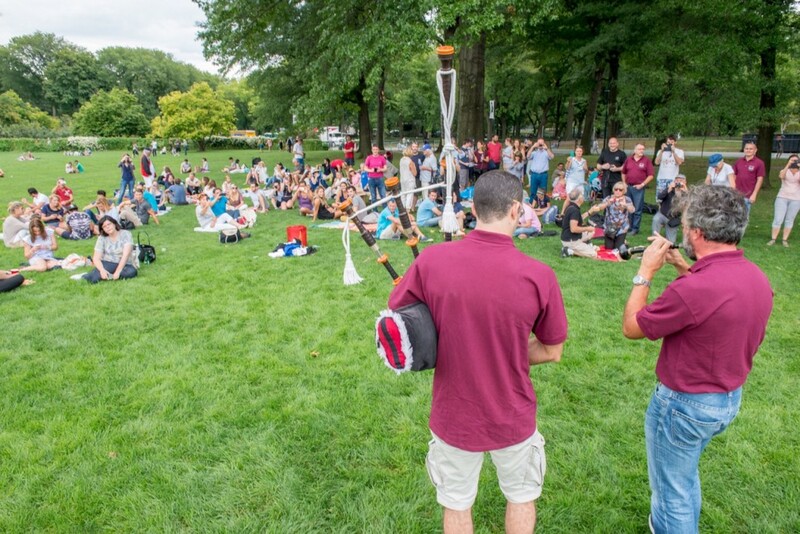 Imaginez-vous au milieu d’un parc, mais pas n’importe lequel… Central Park! New York! Apres avoir passé votre temps le nez en l’air à regarder les gratte-ciel, vous arrivez sous le son d’une bombarde et d’un biniou. Deux marins (avec une vingtaine de leurs collègues) viennent fraîchement de débarquer du “Monge” (Navire de la Marine Nationale Francaise). Au milieu de cet entroit mythique, deux cents personnes dansent et mangent avec ferveur sur l’herbe verte. 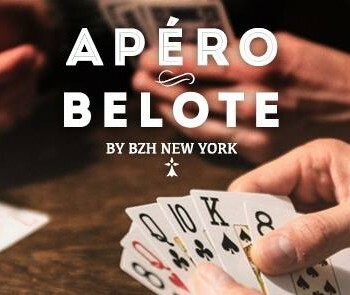 BZH New York a encore frappé! Avec le sponsor de Pâté Hénaff, la “Garden Pâté” 2015 bat son plein. Parmi eux, des locaux bretons expatriés et leurs decendants, mais aussi des vacanciers qui se sont passés le mot depuis l’autre côté de l’Atlantique. La photo s’impose alors pour immortaliser le moment et dire “j’y étais!”. Certain dansent la gavotte, d’autres tartinent leur pain de chez “Cannelle Pâtisserie” (située dans le Queens, merci Jean Claude!) avec l’incontournable Pâté Hénaff, alors qu’un groupe joue aux cartes. 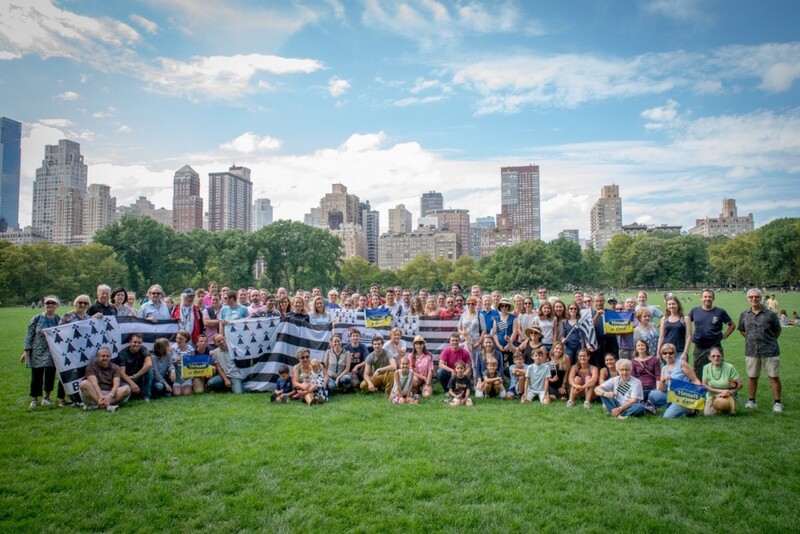 Tous, jeunes, moins jeunes, touristes, New Yorkais, sont là pour célébrer la Bretagne et la convivialité “internationale”. 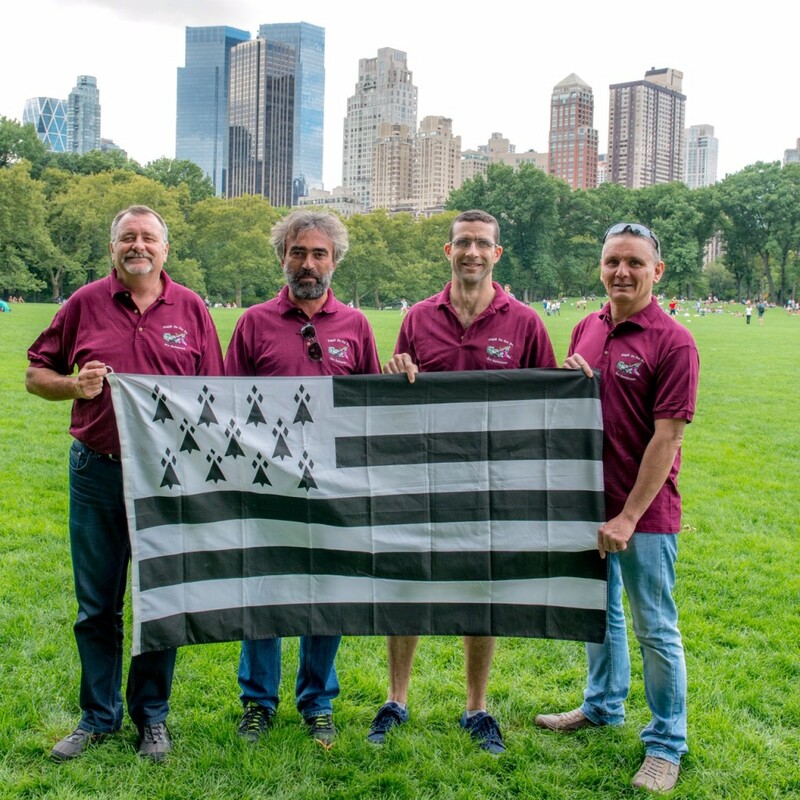 Un petit groupe tourne dans ce petit bout de Bretagne, la team “BZH New York” pour rencontrer et annoncer les prochains evenements de l’association, incluant bien évidement le projet “Les Vieilles Charrues à New York 2016”. Le prochain Apéro Charrues se déroulera lundi 28 Septembre avec comme invités MM Jean Luc Martin et Jerome Trehorel (respectivement président et directeur général du festival), en visite a New York. Le temps a tenu bon: du soleil jusque 16 heures, puis un gros grain, mais c’était l’heure de rentrer et d’attendre la finale de l’US OPEN ! 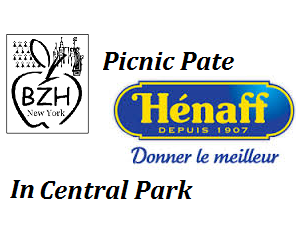 Join us Sunday 13 September for your annual Pate Henaff picnic in Central Park. Bring your drinks, bread, and we’ll have some traditional and new Pate Henaff goods for sale! Our partner Canelle Patisserie (Queens) will offer some bread too! Thanks to Jena-Claude! Hénaff is a century-old pâté producer based in the village of Pouldreuzic, in the Bretagne region. Hénaff pâtés and rillettes are dear to many French gourmands and praised for their quality and taste. Hénaff has remained a local family-owned business to this day, even though its meat preparations are now exported all around the world. We will have traditional pâté Hénaff for only $5 a box. Good idea! But 5 dollars the pâté, as in France is 1,18€ Come on Give it for free ! Hello Hope we will see you with us on Sunday! Henaff company is our sponsor on this event and all profit from sells will be for BZH New York, INC. As an Non for profit organization, it's a way for our members and guest to help us. Merci pour ce tres bel après midi , belles rencontres, et belles gavottes et andro! 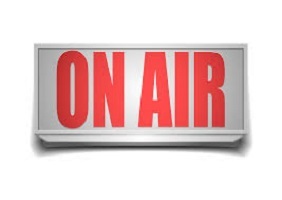 Discover Brittany on "Let's Travel Radio"!